So you just got yourself a brand new iPhone 4. You spent months skipping lunch just to save enough money for the down payment. You used your credit card for the first time in a long time because you just hate the idea of getting into debt. But you were willing to make an exception for this one thing. Now you bring it with you everywhere. To work, to church, to malls, to the gym, to the bathroom. It has become a part of your life. And on a lazy Sunday afternoon, you’re in your bathtub enjoying a nice long bath. You have your iPhone with you. And for some clearly diabolical reason, the gods themselves saw it fit for you to suffer the tragic slip-up of dropping your much beloved iPhone in the water. In a moment of mind-crushing panic, you stick your hands through the foamy bubbles that mock your frantic search. You dunk your head into the soapy water in some misguided attempt to aid your quest, and you end up stinging your eyes. The moment feels like an eternity until you somehow manage to pull the device, all too electronic, out of the abyss. The screen shows nothing but a blank canvas of white. You hold down the wake and home buttons simultaneously, hoping against hope that something happens. Nothing. You let out an indecipherable animal scream heard round the world, shaking the foundations of heaven itself. 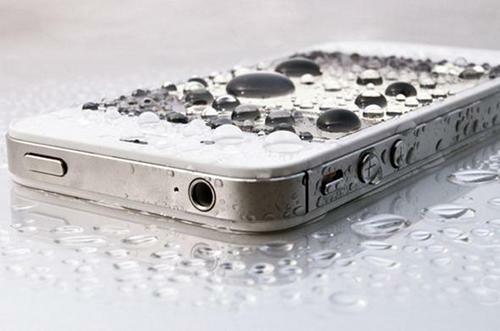 Dropping your iPhone in your bathtub or whatever water source doesn’t have to be an instant death sentence. To avoid having to drown yourself in the tub that kills dreams, waterproof your iPhone with one of the many ingenious DIY iPhone accessories – the double ziplock waterproof case! Step 1. Buy two ziplock bags. These can be found in most supermarkets and retail stores. If you can afford an iPhone, you can afford a ziplock bag. Step 2. Check both ziplock bags. Fill one bag up with water and close the bag. Turn it upside down to see if any water spills. If water does spill, throw that bag out and get another one that doesn’t. Step 3. Put the iPhone in one ziplock bag. Place the iPhone in the corner of the bag. Flatten the rest of the bag to remove air and to allow use of the capacitive touch screen. Lock it. Step 4. Put the iPhone in the ziplock bag inside the other ziplock bag. Basically, repeat step 3. Just flip the first bag with the iPhone upside down so the zippers aren’t in the same place. This prevents whatever water that might leak into the outer bag from easily getting into the inner bag. You can now enjoy your iPhone in your bathroom without ever worrying about all your money and sanity going down the drain. Just don’t let it be submerged for too long, and you won’t have to damn the gods. Rod Tolentino is a musician and a marketing manager for Repair Labs and Fix-iPhones.com. An industry-recognized specialist in iPhone and iPad accessories as well as iPad and iPhone repair.